Volunteers are sure to find a lot of debris washed out by this week’s rain. The largest local beach cleanup of the year, from Aliso Creek Beach to Main Beach, takes place Saturday, Sept. 19, and organizer James Pribram invites everyone to help with the task. 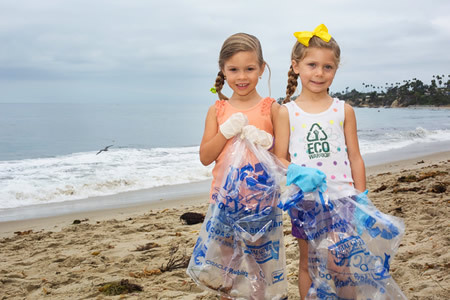 “The end of summer is usually when you find the most trash left behind,” said Pribram, whose Eco-Warrior Foundation organizes the local Coastal Cleanup Day campaign for the California Coastal Commission. Gloves and cleanup bags will be provided from 9 a.m. to noon at cleanup stations at Aliso Beach and Quiksilver Boardriders Club, 255 Forest Ave. Volunteers receive a certificate for a free taco from Rubio’s and a 20% off promo code from the Quiksilver store in Laguna.